Eleven Harlingen CISD students had their work published in Celebrating Art, an international art anthology book. 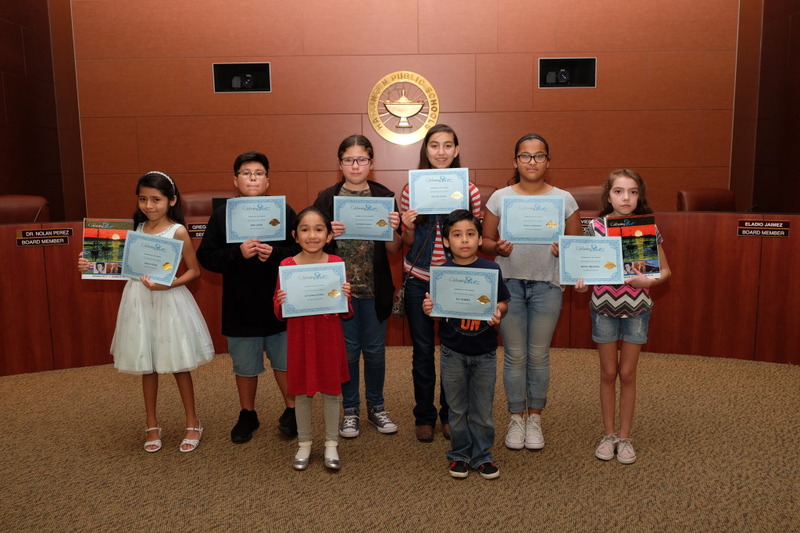 Students had the opportunity to compete in the artwork contest through a Harlingen Parks and Recreation class called Creative Explorations. The class, taught by KEYS Academy art teacher Oneida Trevino, allows students to experiment with different media, such as pencil, watercolor, India ink, tempera paint, low-fire earthenware clay, and other media. Harlingen was also recognized as a top program in the contest on account of the number of students published and were ranked third in the state. Each season, thousands of students enter artwork, but only the top 25 percent are selected to be published.